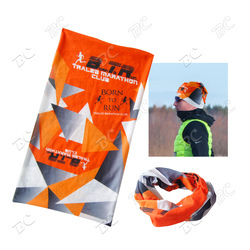 Stay cool and dry with this Moisture Wicking Seamless Custom Bandana! You can wear it 13 different ways, and its soft seamless fabric will stay perfectly in place. 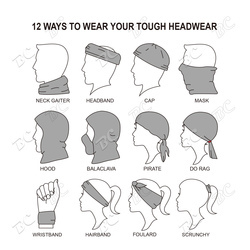 Great for running, cycling & football headbands. Sweat absorbing & quick drying or protection from the cold & wind during high intensity activities!